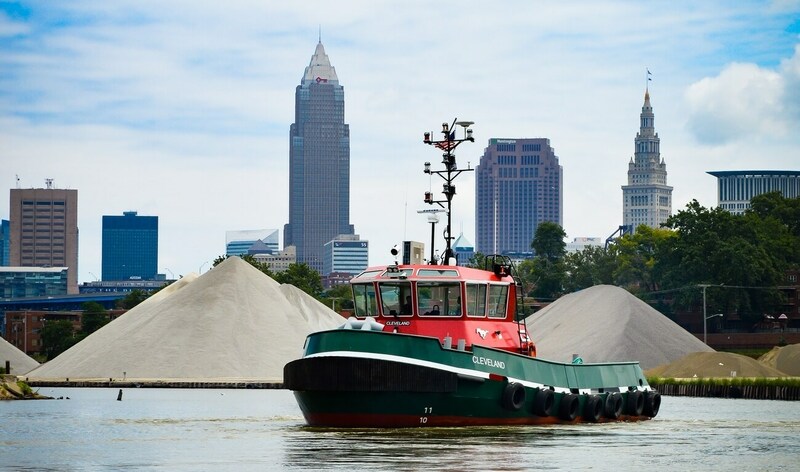 Home › Harbour Tug › Stan Tug › Stan Tug 1907 ICE Class › Stan Tug 1907 ICE "Cleveland"
The Great Lakes Towing Company expands its fleet with the delivery of the new first of ten Stan Tug 1907 ICE. The Stan Tug 1907 ICE is a compact design capable of 30.0-tons of bollard pull. Its relatively small size and high manoeuvrability make it ideal for the narrow waterways with their many low bridges that characterise the Great Lakes region. The ability to operate safely in icy waters is also essential given the very cold temperatures that occur there in the winter.